What fox taught to the little prince is the most important thing in life. I often feel like to reading this novel again and again. Not only Saint-Exupéry's kind touch pictures and story-telling comforts me, but also the theme of this story makes me think about the way of living as human nature thoroughly. The important thing in life is not to be rich, to take a honourble job, to be in high position, to be cerebrated or whatnot. Happiness exists much nearer than you'd think, but most of us don't realise it. Where on earth adult people in modern times will go without noticing why they are living and why they are working? The relationship between the little prince and the rose which the prince has abandoned can be seen both as a lover or family. Why do we grow apart when we know that both of us really imortant for each other? Why do we pretend to be strong? Why can't we tell that how we love each other honestly when we know our heart can be fullfilled when we do so? 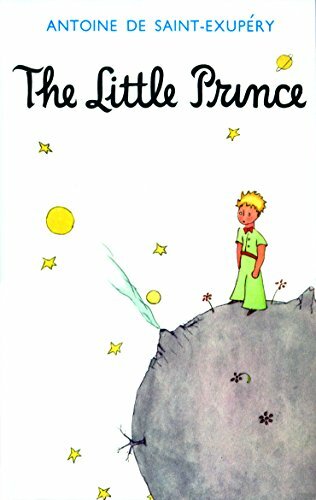 The little prince was disappointed once he realised that his rose which he thought the only one exist in space was nothing but ordinary and numerous thing in earth. He, however, found that his rose is the one cannot be compared to any other roses when he thought about the time, love, and everythig he has done to that rose aftrewards. It can be said when we think about our own human relationship. Someone will becoming a special one. More we take time, love, worry, sorrow, anger, joy and anything for him or her, the more they will become our special and the only one. Most of us don't realise that though. We are losing much amount of love simply because we are always trying to protect ourselves. My favourite scene in this story is the one where the fox says to the little prince when they have to say goodbye. "Then it has done you no good at all!" "Go and look again at the roses. You will understand now that yours is unique in all the world." It is sad for fox that he has to say goodbye to the prince, so the prince thought it's better not to meet each other when they have to depart in the end. However, the fox tells him that even if he can't meet the prince again, he can feel happy when he sees the colour of the wheat fields which reminds the fox of the prince,and that is enough for him and it is worth meeting each other just because of that. Go and look again your loved ones. You will understand how that yours is unique in all the world.